As we predicted in our previous analysis of US inventories of tomato products, the dynamics initiated in December 2017 led to a decisive resorption of surplus stocks (physical stocks of tomato products stored in warehouses, including a proportion already sold but still undelivered). Surplus inventories have not been this low since March 2015: according to our estimate and with regards to requirements stated for the coming seven months (until 1 October 2019), the surplus as of 1 March 2019 amounted to some 418 000 mT (farm weight equivalent), which is less than two weeks at the current rate of apparent consumption. 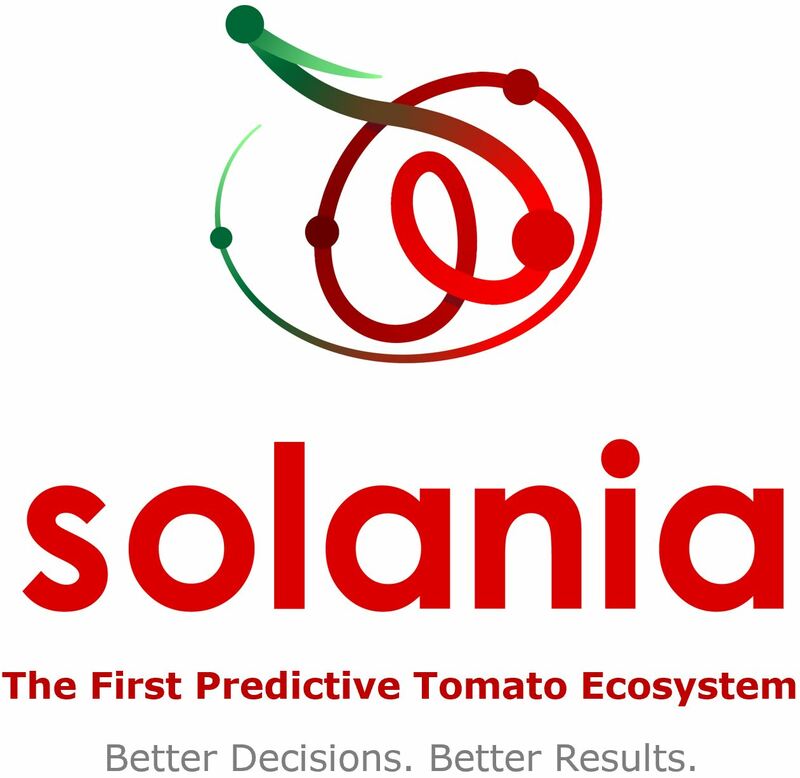 According to the figures published by the CLFP (California League of Food Producers), total inventories of US processed tomato products were approximately 8.2 million short tons (sT) (7.473 million metric tonnes (mT)), stated on a raw product equivalent basis, as of 1 March 2019. Inventory is down 6.2% from the previous year's level (8.785 million sT, or 7.969 million mT). 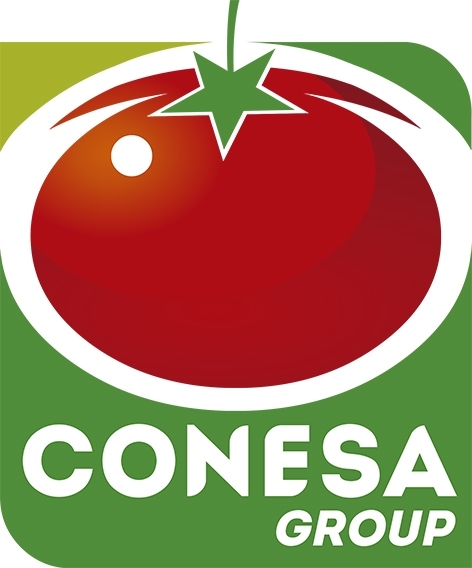 Apparent disappearance of tomato stocks has increased 5.3%, totaling approximately 10.4 million sT (9.45 million mT) during the nine-month period of 1 June 2018 to 1 March 2019, as compared to the prior reporting period. Over the twelve-month period running 1 March 2018 to 1 March 2019, apparent disappearance amounted to 13.33 million sT (12.09 million mT), up by 4.9% compared to the monthly rate recorded over the previous twelve months in March 2018. For the time being, almost 500 000 mT of raw material equivalent have "disappeared" from inventories, compared to inventories in March 2018. 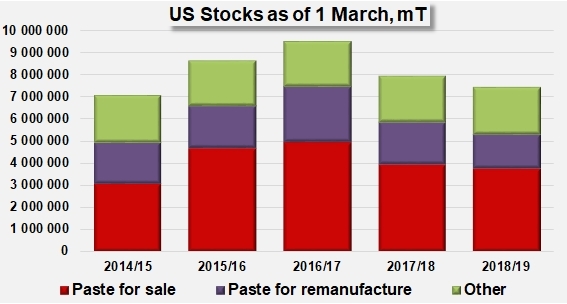 This impetus is largely the result of a major drop in the volumes of available paste intended for remanufacturing, and also, to an extent, to a decrease in stocks of paste for sale (particularly volumes intended for export). 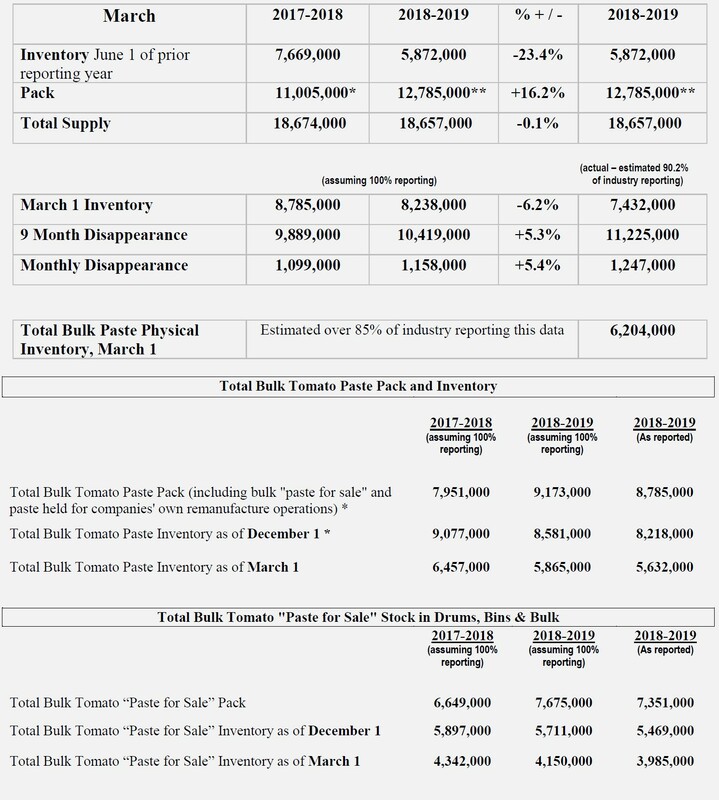 The U.S. bulk tomato paste-for-sale inventory on 1 March 2019 was approximately 4.2 million tons, on a raw product “paid-for tons” equivalent basis. 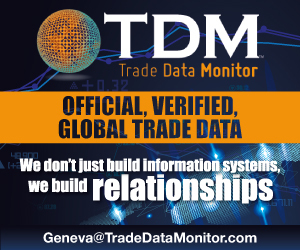 Total bulk tomato paste stocks, including inventory held for remanufacture, were estimated to total approximately 6.1 million tons, on a raw product “paid-for tons” equivalent basis, as of 1 March 2019.